Where can I buy Food and Drink at the San Francisco Dungeon? Need a group meal while you are in Fisherman’s Wharf? 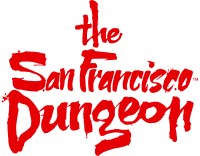 The San Francisco Dungeon has partnered with Applebees and Hard Rock Cafe to bring great combo packages to you! Please ask us for details! Can I access Wi-Fi within the San Franscisco Dungeon?